We see 10 – 15 patients with Heel Pain like yours every day!! Yes we understand your heel pain! Do you dread putting your heels to the floor when you wake up? Does it feel ok for a few minutes only to get sore again during the day? Visited other well-meaning health professionals, no success? If you are frustrated by pain in your heel, then this information is important to you. Most heel pain that has lasted for more than a month typically gets worse. The longer the pain lasts, the greater the chance you’ll develop an even worse condition that involves scar tissue formation. You don’t have to let this happen to you. Imagine stepping out of bed pain-free. Call us today to get fast relief! NOT all heel pain is the same! Plantar fasciitis , Heel Spurs, Plantar fasciosis, Tibialis Posterior tendonosis , FHL tendonosis are all types of heel pain. 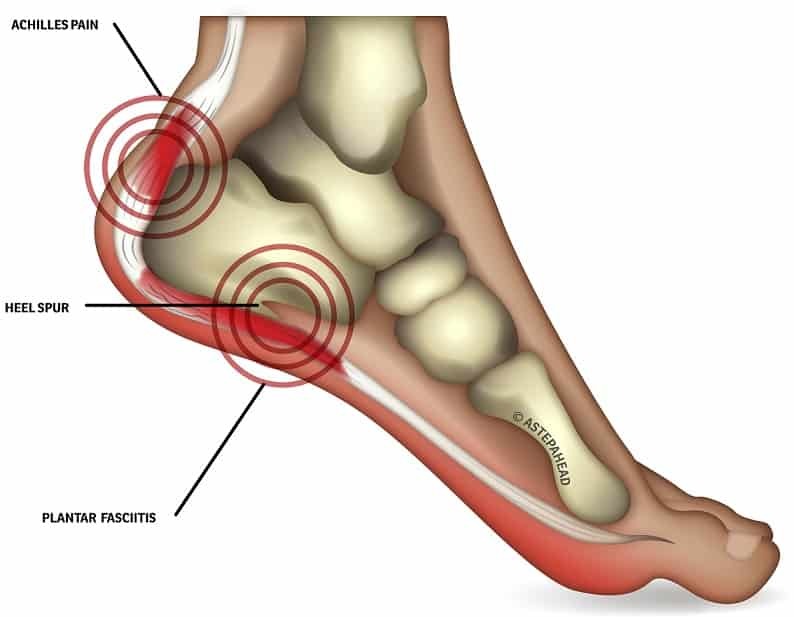 Not all heel pain is from Fasciitis which is FREQUENTLY over diagnosed. Heel spurs is a common but incorrect diagnosis for heel pain. Whilst it is common for spurs to be present, it is rare indeed for the spur to be the cause of the problem. We don’t doubt your xray will show a spur, but its often not the main cause of your pain! Plantar fasciitis is yet another relatively common diagnosis. Many well-meaning health professional jump to this diagnosis when hearing common signs and symptoms. It’s a simple diagnosis for an often-complex problem! But is it correct? Achilles Tendonitis - "itis" is a term used to describe something that’s swollen. What happens if there is NO swelling there at all? Will ice and anti-inflammatories remove your pain? Should you really be stretching that? Research is now saying NO! What if these are NOT your problem? What do you do if you’re being treated but it’s not getting better? How can we help? Have you tried other health professionals? Like to assess what treatment is best for you? How is A Step Ahead different? A TRUSTED TEAM treating this condition seeing between 10 - 15 patients a day with this painful condition! You’re NOT alone! INNOVATION - out of the box solutions for this debilitating condition. NOT YOUR REGULAR PODIATRISTS - regular Podiatrists spend most of their time cutting nan’s nails -all the while we are fixing heel pain – who do you trust? Our team will look at the real cause behind your heel pain and not simply provide the standard stretch, ice water bottle, rigid orthotic paradigm others hand out! Have you been handed the “SAME OLD - SAME OLD” Stretch-Ice water bottle-Orthotic routine? And you’re not getting better? Stretching DOES NOT work for many people! Ice water Bottles is great for about 7 days – then hopeless! Rigid orthotics may IRRITATE your heel! Would you like a quick idea what treatments could be best for your Heel Pain? 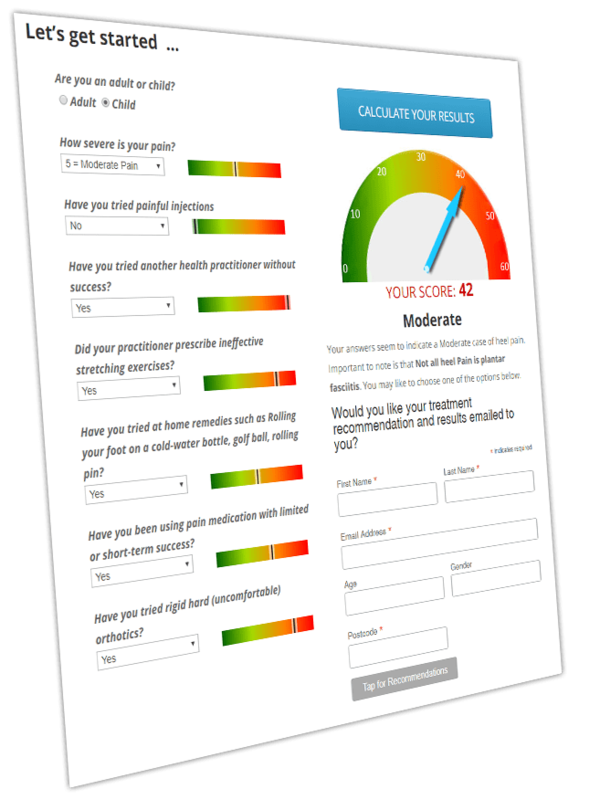 Try our online assessment tool! Answer 7 simple questions and our calculator will instantly provide you with a detailed Personalised Report with Treatment recommendations specifically for you to help beat your Heel Pain. Your personalised report will also guide you through our Educational resources library to help you take the first steps to resolving your pain! How is our treatment different? 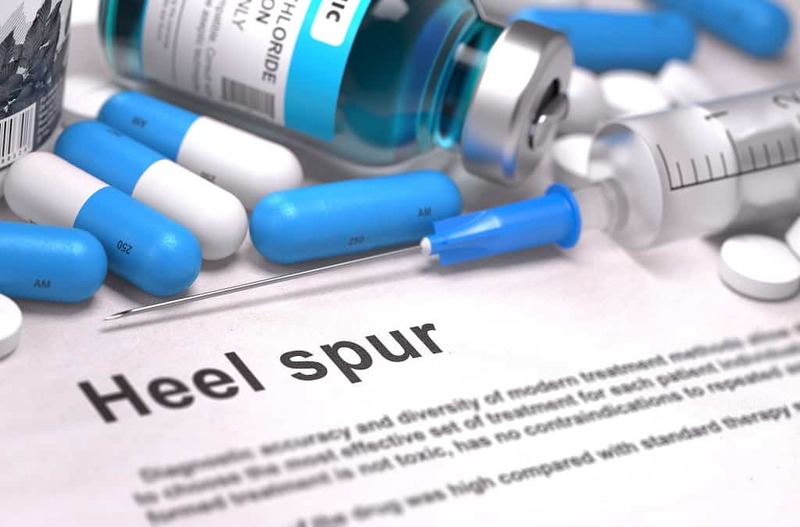 A Step Ahead has become the leaders in the field of Heel pain care, using innovative treatments. Firstly, we provide upfront, “warts and all” advice! We will tell you what you can do and CAN’T do to get relief (loads of practitioners are too scared to tell you). You will have all aspects of your problem addressed from shoes to how you walk! Patients are travelling from ALL over Australia to visit us to find a reliable solution, no really! So, you want to know more? So, you’re not quite ready yet to begin the battle with this nasty? 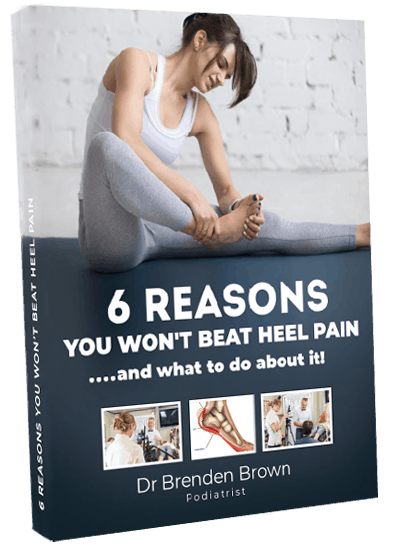 Try accessing Dr Brenden’s white paper report on the “6 reasons people don’t beat heel pain” As a recognised expert in lower limb health with over 20 years’ experience, Dr Brenden outlines what’s stopping you from beating this and tips on how to stop it in its tracks! Would you like to speak to a qualified Foot Doctor to review your problem with you over the phone? If you are suffering foot pain this is important information for you. 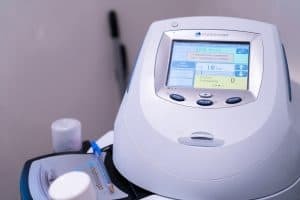 Be one of the many patients taking advantage of our 10-minute Review service*, which involves a telephone call with one of our experienced and highly professional team members to discuss your concerns. This guide, questionnaire and recommendation should not and can not replace qualified medical advice. The information on this page and website are a guide only. We strongly advise you to consult our Podiatrists or a qualified health practitioner for professional advice. No medical treatment in Australia can be guaranteed, in fact it is illegal to do so. Results will vary from person to person.